At an Air Force Base on the southern California coast, SpaceX teams are quietly prepping a Falcon 9 rocket for a Sunday launch slated to shatter four of the company's records and push the envelope on reusability ambitions. 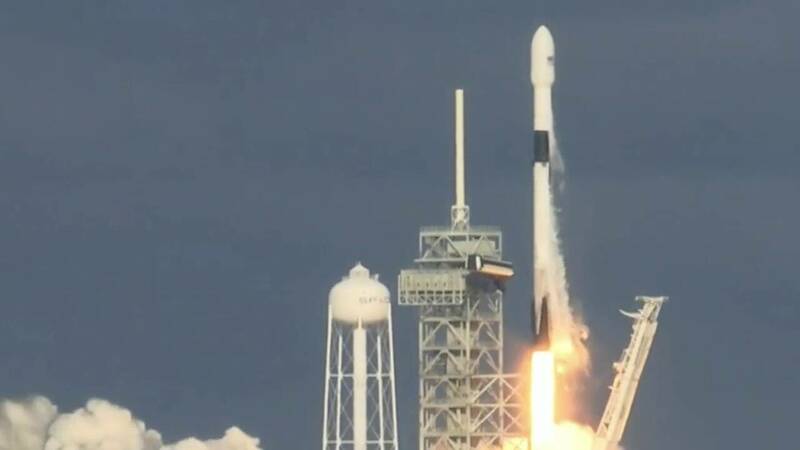 News 6 partner Florida Today reports SpaceX's 19th mission of 2018 is expected to take flight from Vandenberg Air Force Base during a 30-minute window that opens at 10:32 a.m. Pacific time, or 1:32 p.m. Eastern, with dozens of satellites for Seattle-based Spaceflight Industries. Sunday's mission takes it a step further: The first stage, first launched from Kennedy Space Center in May, will fly a third time after two successful missions. It's a critical milestone that will move forward CEO Elon Musk's vision of flying the boosters at least 10 times with minimal refurbishment and up to 100 times with moderate work. After liftoff on Sunday, the booster will turn around for a Just Read the Instructions drone ship landing in the Pacific Ocean, paving the way for a possible fourth flight in the future. If all goes according to plan Sunday, the booster will become SpaceX's first coast-to-coast launch vehicle to take flight from all three company pads. In 2017, SpaceX broke its previous records with 17 launches – 13 from Florida, four from California.